We have brand new equipment on its way to enhance this new training facility! 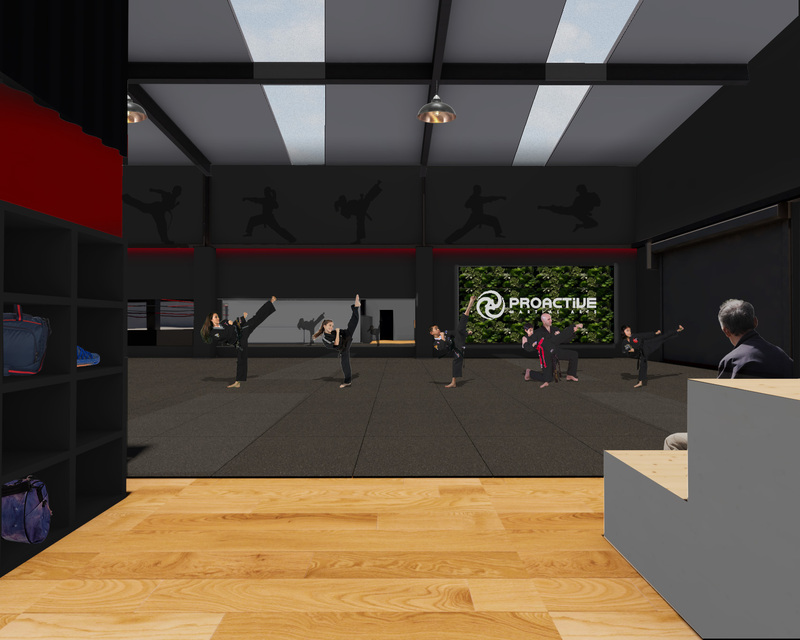 Our new Proactive training studio will be split into three sections, this will give us the ability to run THREE classes at the same time! 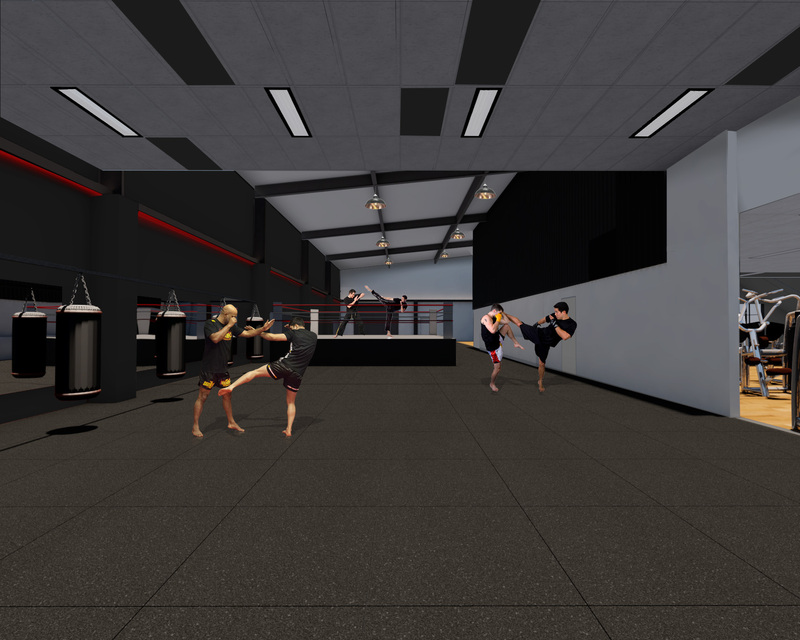 Our new facility boasts new martial arts flooring. Each of the three areas will have different flooring for specific training needs. High quality bathroom fixtures in a larger area. 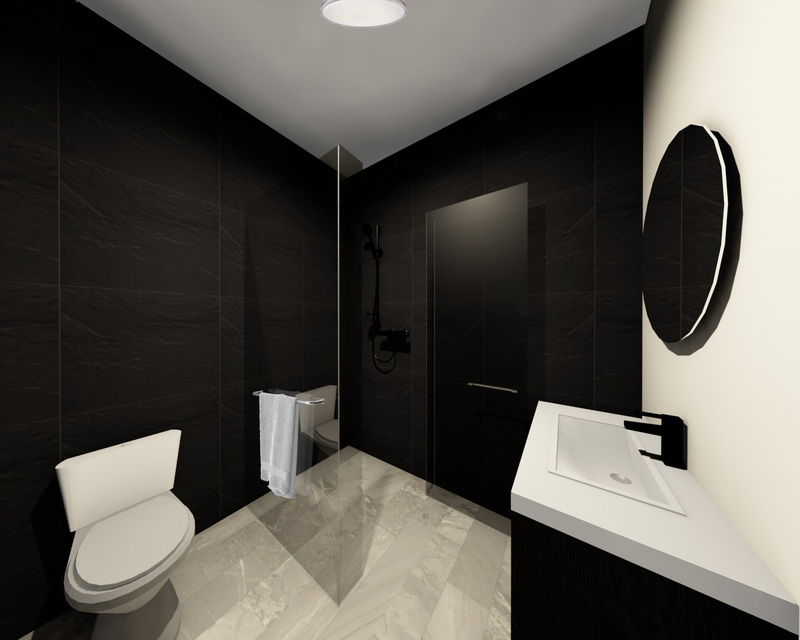 New changing areas with a brand new modern design. With Increased numbers of showers and toilets. The whole facility has state of the art climate control and a fresh filtered air system. Combat shop will be larger, brighter and set out with increased stock on display, making it easier for all your purchasing needs! Watch your friends and family train from our tiered seating, allowing for the best development for the students training. We have a new kickboxing ring being installed for specific ring sports development. We have plenty of new gear on its way to enhance this new facility. We have international and local instructing courses arriving in the near future. 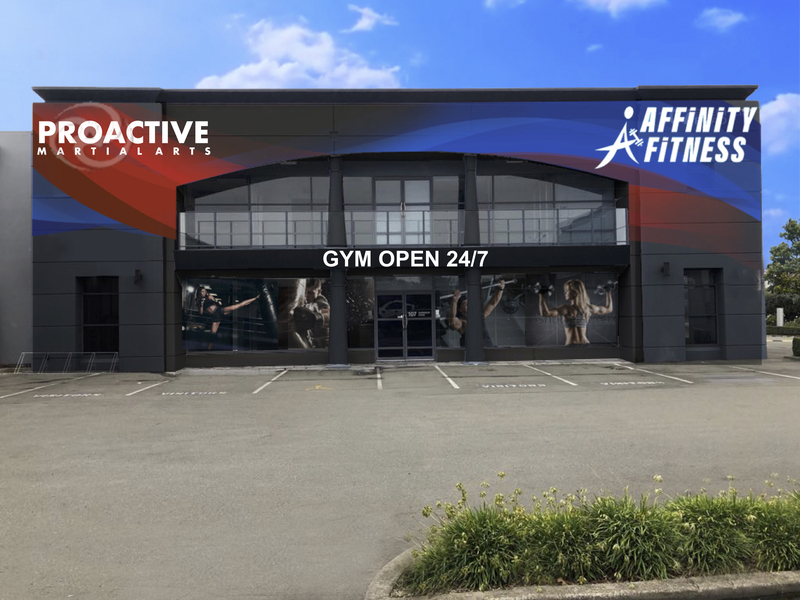 With just a 2 minute drive down Blenheim road from our current location, the new facility lies in the heart of Riccarton, including a rear access from Princess Street to avoid any traffic! The new location still has allocated parks, and is surrounded by multiple retail outlets and cafes.